1. 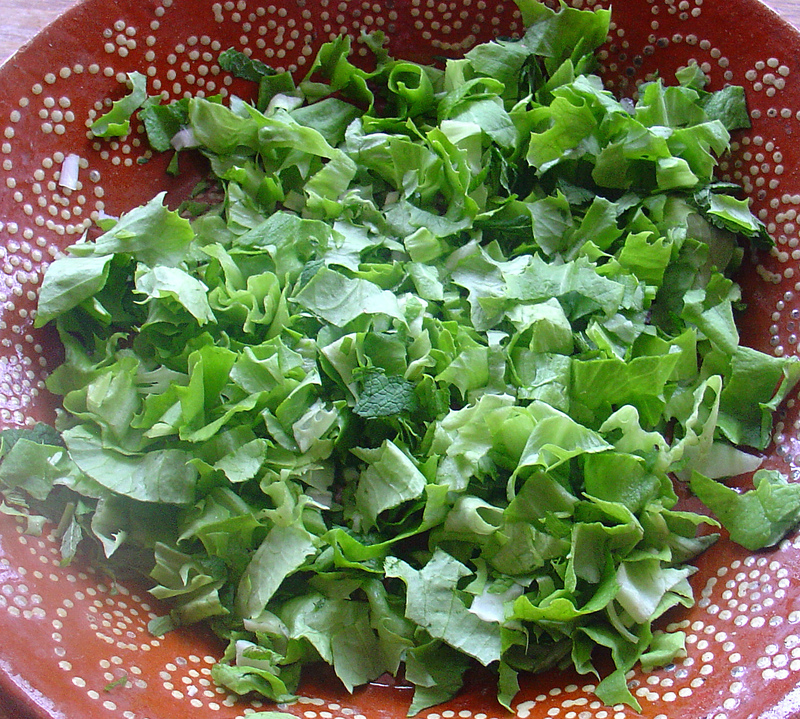 Wash and finely shred some lettuce - the good outer leaves can be used. 2. Finely slice 1 to 2 onions or use spring onions when available. 3. Finely chop a little mint. 4. Add sugar to taste to a cup of vinegar and stir to dissolve. Pour over salad. 5. Serve with hot roast meats.